Mr Christians fast response to my email inquiry was impressive, he was able to provide a consultation immediately where he demonstrated his expertise in immigration law, I came to discuss options without realizing that I needed to apply for asylum within a time frame, when I met Mr Christians there were only six days left to apply! Mr Christians worked religiously to produce a lengthy file with all the evidence and were able to submit my file just in time. Mr Christians worked religiously to produce a lengthy file with all the evidence and were able to submit my file just in time. 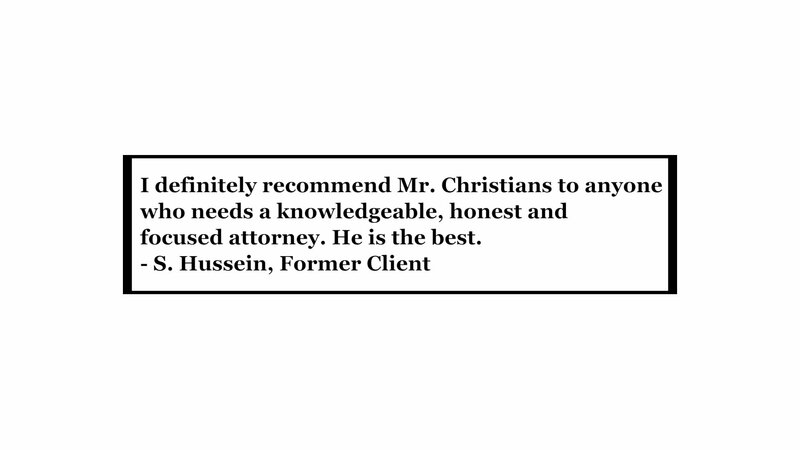 I definitely recommend Mr Christians to anyone who needs a knowledgeable, honest and focused attorney. He is the best. 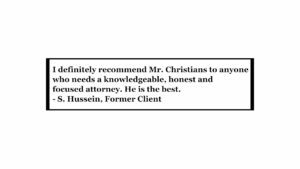 This review is from a client who hired this attorney.